Chezz Gerdi sits at the coastal tip of Es Pujols with spectacular views out to the sea. 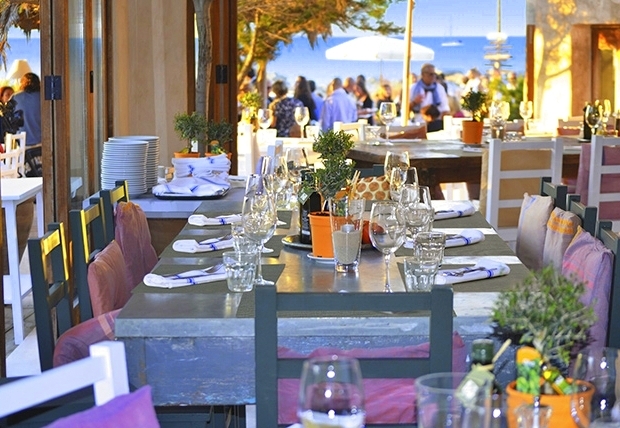 The venue feels like an art exhibition and cosy Italian trattoria where guests can enjoy the roof terrace, lounge on the sofas in the garden, dine facing the sea, have a cocktail at the outdoor bars. Chezz Gerdi has been recently refurbished and open for lunch (with a tender service), dinner, events and weddings. 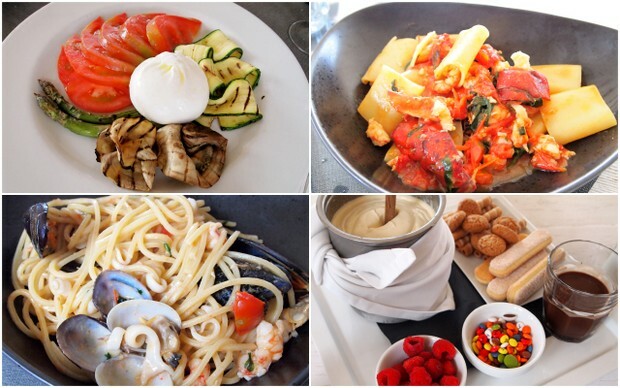 3 star Michelin chef Andrea Alimenti has created a wonderful menu offering classic Mediterranean fused with Asian touches and the charming Italian manager Matteo treats his guests with attention to every detail. 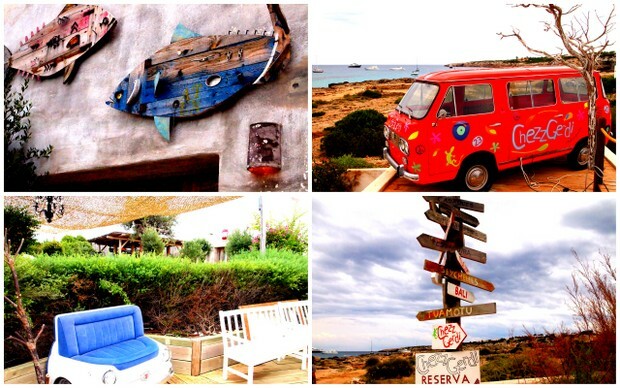 Located behind the beach in Es Pujols, Chezz Gerdi draws you in, with its quirky design - Fiat 500 car seats, fish wooden sculptures, a bright red VW camper van contrast beautifully with the traditional finca and its secret chill out areas and terraces offering picture windows looking across the sea towards Ibiza. Chezz Gerdi is a favourite amongst VIPs and foodies – some of the tables have been signed with poems and personal messages – all in all, thoroughly enchanting! Either radio in for the tender service or drive to Es Pujols and look for the Chezz Gerdi sign to the left on the way to Punta Prima.